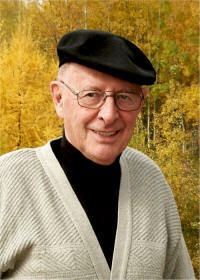 George Hunerfauth immigrated to Canada from Switzerland when he was a young man. He was interested in starting an agricultural equipment distribution business in a farming area. After traveling across Canada he discovered a welcoming community in Wetaskiwin and settled here. He developed his business, married, raised his family and became involved in his church and community. In 1967 he had a vision for a unique community enterprise. 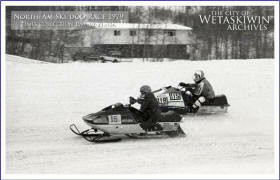 The event was the Wetaskiwin North-Am International Snowmobile Race. His vision became a reality in 1968 and was an annual event from 1968 until 1986. Within a few years of its inauguration the race attracted 20,000 spectators, was covered by national media, and drew competitors from across Canada and the United States. George is being inducted into the Wetaskiwin and County Sports Hall of Fame for his leadership in initiating the North-Am International Snowmobile Race and helping to put Wetaskiwin on the international sporting scene. 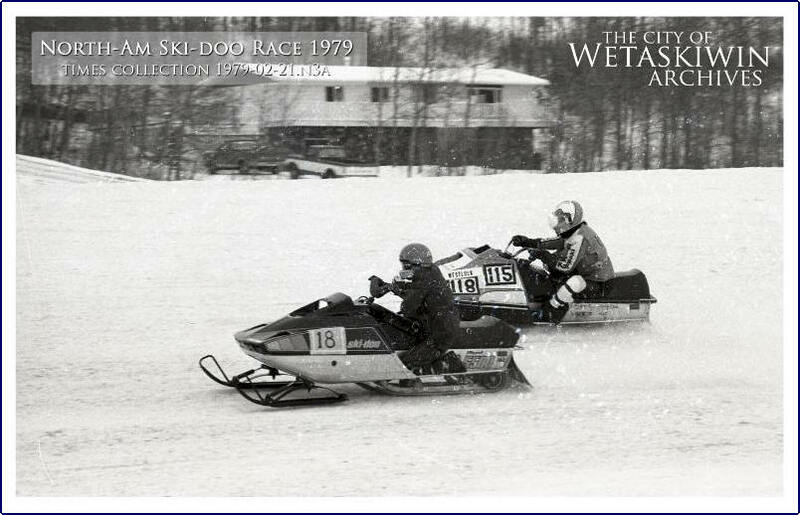 Snowmobile races were first held in Wetaskiwin as part of the 1967 Centennial Winter Carnival. They took place on an ice covered oval at the Exhibition Grounds, sharing the track with horse drawn chucksleds. It was soon apparent that the exhibition oval was too flat and not a great venue for spectators. George was inspired to have an international snowmobile race “that would show what the machines could really do” in the right conditions. Few took him seriously at first, doubting that racers would come to the city or that suitable prize money could be raised. George convinced the Kinsmen and Kiwanis to put up $20,000 in prize money, recoverable from entry fees of $50 per machine and from spectator ticket sales. A new racetrack was developed and George chaired the volunteer group that was formed to organize the 1968 event. 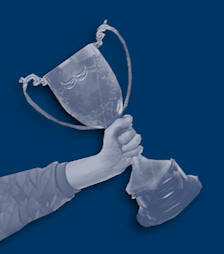 A successful race was held that year. In 1969 another international race was held under George’s leadership and two hundred and seventy drivers competed in the races and all of the events were sold out. 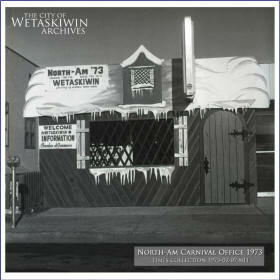 During the five days of the races, the Winter Carnival turned Wetaskiwin into a swinging city. The serious business of racing by day gave way to the fun of dancing and entertainment by night. In 1970 a formal Winter Carnival organizing committee with members from all facets of the community was established with George again at the helm of the North Am races. The group spent months preparing for the Carnival and every club in Wetaskiwin was involved. Wetaskiwin totally embraced the festivities. More events were added, businesses decorated their premises, a carnival atmosphere captured the city and fireworks ended each evening. In 1970 the North Am races were officially recognized as an international event and from then on, television and radio coverage was considerable. 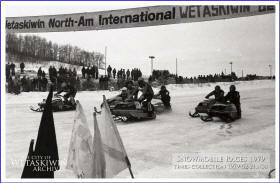 The North-Am race was the largest snowmobile race in Canada, a credit to the city and a reward for the many volunteers. From 1971 and until 1986 George was a consultant for North-Am organizers. The snowmobile races continued through the decade. Successes varied from year to year mostly depending on the weather and snow conditions. The largest number of racers was in 1973 when 433 racing snowmobiles were registered. However, preparations were taking up the better part of the fall and winter months for the people organizing the events. As North-Am grew in size and reputation it depleted the city’s resources and by 1975 many of the volunteers were finding it difficult to continue. Also, the North-Am races were facing competition from many other race meets in other parts of Canada. 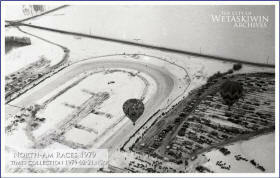 The North-Am Races and their place in the winter Carnival were maintained until 1981 when the venue changed to the Panee Exhibition Grounds at Hobbema. 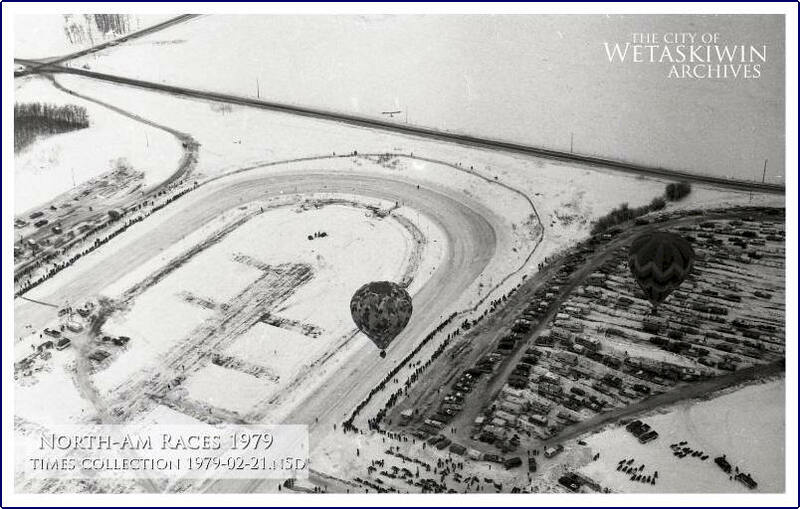 In 1982 the races were relocated to Coal Lake where the lake ice was used as the base for the racing oval. 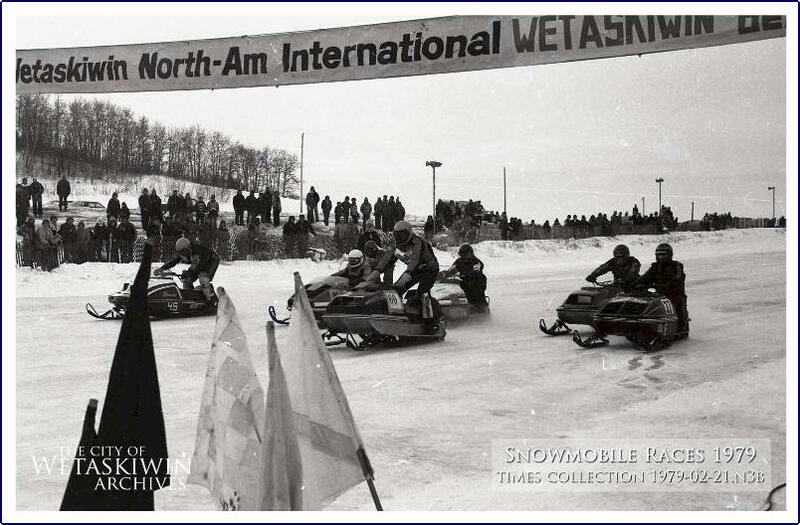 By then interest in snowmobile racing had faded and the North-Am struggled until 1986 when the races came to an end. Fittingly, George’s plaque that is unveiled tonight will hang in the Wetaskiwin and County Sports Hall of Fame Gallery in the Wetaskiwin Civic Centre. As CEO of Supreme International, George was instrumental in Supreme being a major platinum donor in the fundraiser set up to raise the funds necessary to build the foyer joining the two rinks and Drill Hall where the Sports Hall of Fame is presently located. George Hunerfauth’s vision, determination, dedication, and the hard work of many individuals and organizations made Wetaskiwin a front runner in the sport of snowmobiling racing for an eighteen year span from 1968 to 1986. Thanks to George, the memories of the North-Am and the winter Carnival became a part of Wetaskiwin’s history. Its success would never be repeated but North Am had brought the city national and international fame. On behalf of all of the citizens of our community we laud George for his vision of and efforts in launching the North-Am International Snowmobile Races by inducting him into the Wetaskiwin and County Sports Hall of Fame. George was unable to attend the induction ceremony. 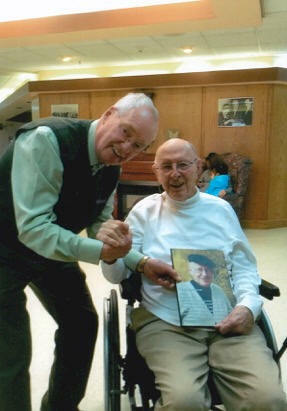 Afterwards, Bill Milnthorpe visited George and presented him with the plaque he so richly deserves.